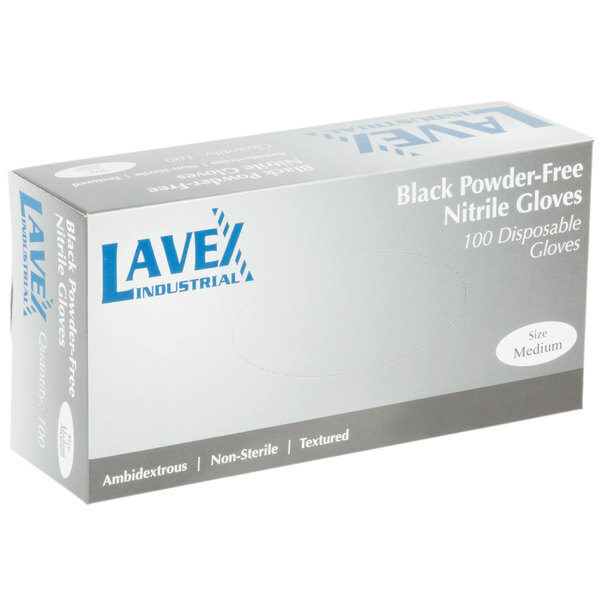 For even the toughest commercial jobs, choose these Lavex Industrial 5 mil thick, powder-free medium nitrile heavy-duty gloves to complete the task. 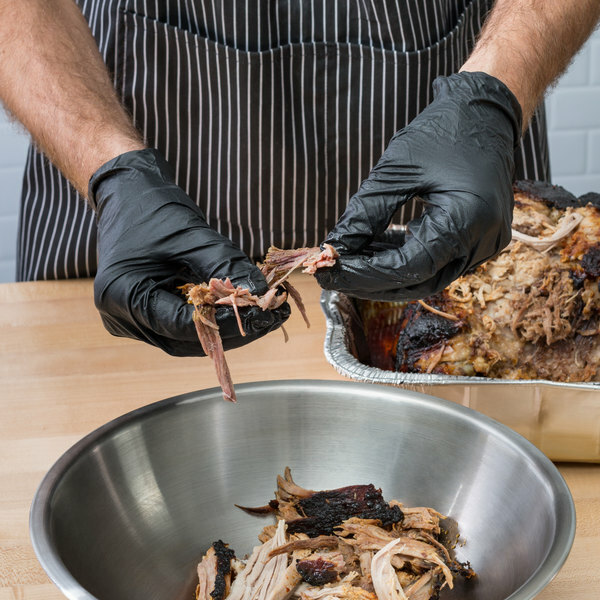 "Anyone that works with me will tell you these are the only gloves I will put in my kitchen! Theyre just so durable. Since I wear nails and jewelry I need a glove that can stand up to my strenous kitchen activity. 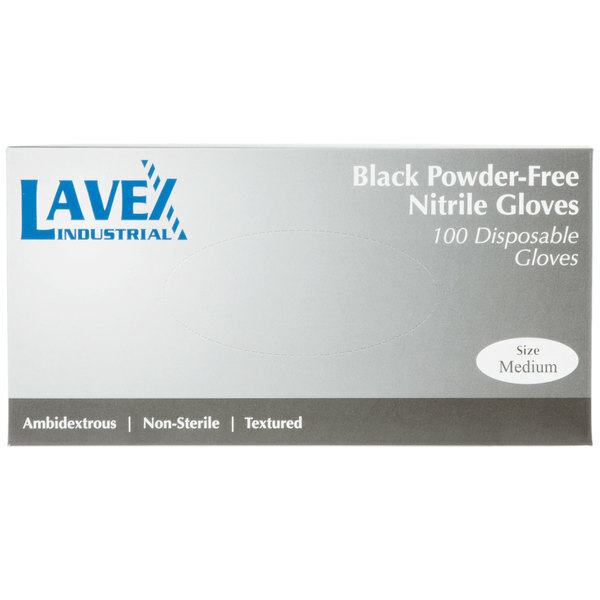 I love these nitrile gloves. Theyre my go-to. Great Buy!" Anyone that works with me will tell you these are the only gloves I will put in my kitchen! Theyre just so durable. Since I wear nails and jewelry I need a glove that can stand up to my strenous kitchen activity. 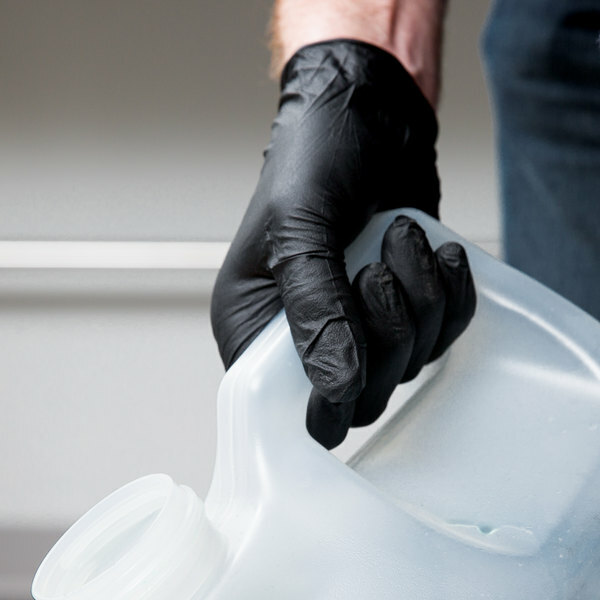 I love these nitrile gloves. Theyre my go-to. Great Buy! These are awesome gloves! they are strong and reliable, we use these all the time for everything! Way better gloves than all the others i have purchased. Great quality and great price! This is strong and reliable gloves for what it is. I had bought much thinner and three times expensive gloves, but i like this one better for stronger and thicker material. I'm glad i found better product here! 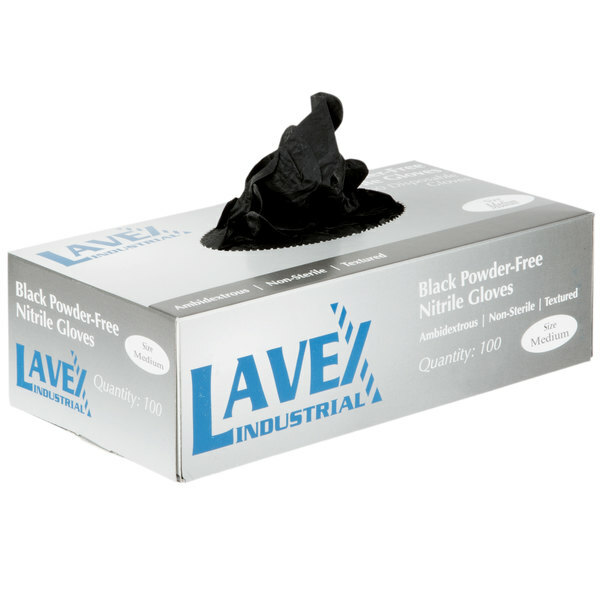 These latex gloves are thick and durable! Can withstand anything we put them through here at Batter and Dough! Very important when making out customers sweet and savory creations. 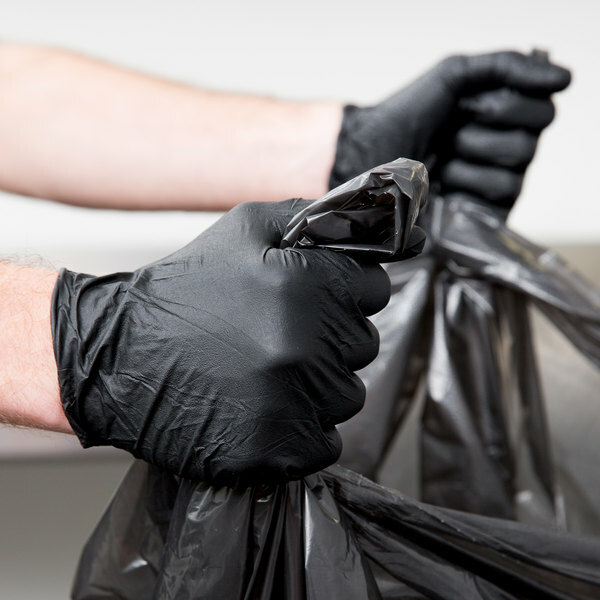 I love using gloves especially the black ones. They do run small so I would suggest going up a size. I ordered the mediums but definitely could have used the large. Best latex gloves on the market by far! The prices are even better than the other brands. Black gloves are the “in” thing now and I love using them for my events. 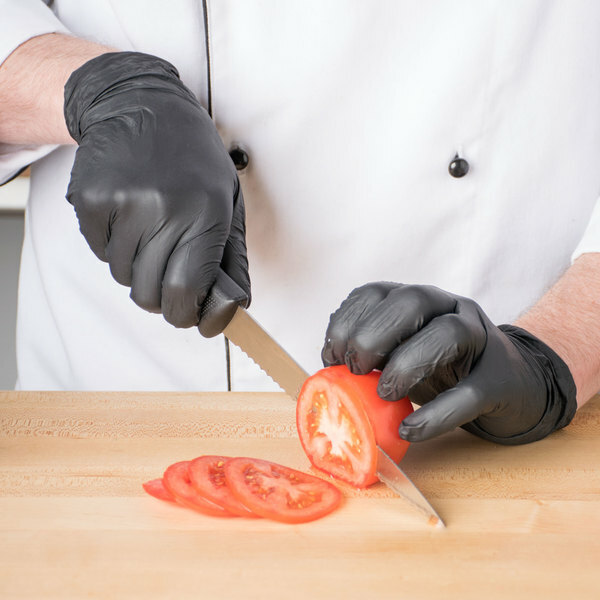 A great glove for catering events, gives a very professional look as well as providing proper food hygiene. With the right size these are easy to put on. 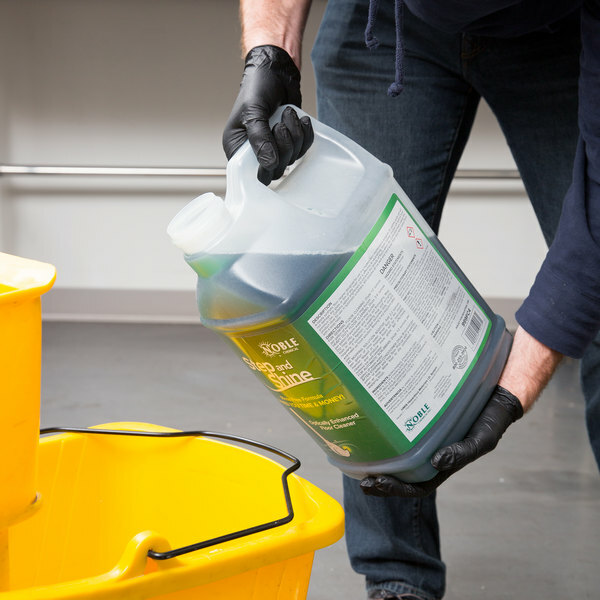 These are insanely thick and durable they almost are a pitty to toss after use as they keep garbage or dirt or soap away from hands and even are thick enough that they don't easily break or puncture!